Two layers of 1.5" dive webbing with loop Velcro sewn all the way around the outside of the belt, and no buckle, just a Velcro closure. 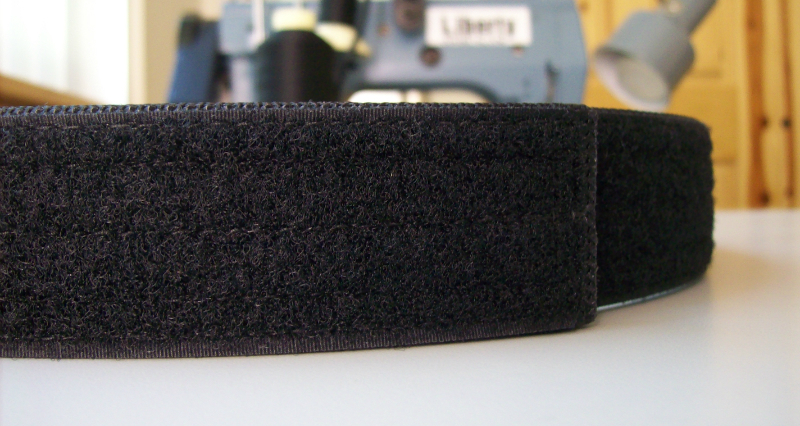 This belt could be used as an "inner belt" to mate with an outer belt that has hook Velcro on the inside of it, but we've been ask by people carrying inside the waist band appendix to come up with a rigid belt with no buckle. Only available in all black. SIZING: MEN - ORDER THE SAME SIZE BELT AS THE PANT SIZE YOU WEAR WHILE YOU CARRY. WOMEN - SEE FAQ.